At the U.S. Kuo Shu Academy, it is our mission to not only teach the fundamentals of Kung Fu to children but use Kung Fu as a character development tool. One of the most talked about ways children’s martial arts benefits kids is in building their confidence. So how does practicing forms and learning self-defense make a kid more confident? We approach confidence building in two main ways, through achievement and physical action. Experiencing genuine success is a huge confidence builder. Not everyone gets a trophy. Not everyone is great at everything. And if we achieve something without risk of failure, we don’t experience the same feeling of accomplishment. 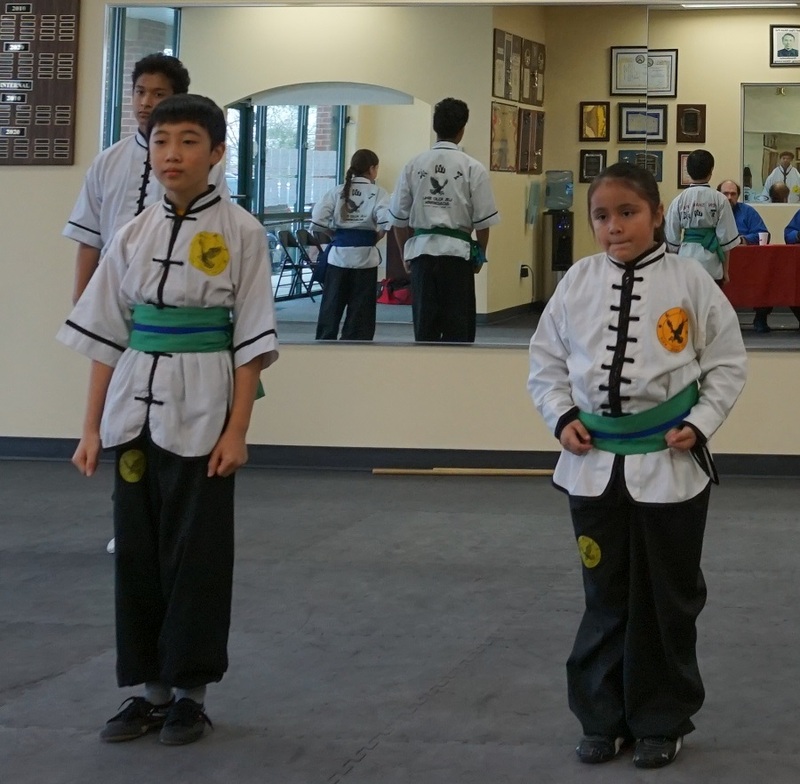 At U.S. Kuo Shu Academy, our children’s martial arts program offers a safe environment where we truly challenge kids. In martial arts, children take time to earn each belt, to perfect each form, and get better and better with practice. We reinforce their effort and they enjoy the results. They work hard and fail over and over again until finally achieving a goal. And if you’ve ever experienced the joy of success after failure or trial and error or a long battle up hill – you know that is a rewarding achievement. The result is pride in their accomplishment and increased confidence due to their achievement and overcoming of a challenge. Confident people exhibit specific behavior when interacting with others. Confident people hold themselves upright and will look you in the eye and introduce themselves with ease. But, if a non-confident person takes on the challenge to do just that, even though it is difficult, they will gain more confidence. Your mind follows your body, and your body follows your mind. The two depend on each other, but, you can change your thoughts by changing your body and change your body by changing your thoughts. At U.S. Kuo Shu Academy we teach the kids in our children’s kung fu classes to exhibit these behaviors to show respect for others and in return they gain confidence and self-respect. We teach the children that honesty is a crucial part of this confidence. It is easier to be confident if the they are honest. And if they are making eye contact as part of their confidence growing, they will have a harder time being dishonest. So, honesty and confidence work hand-in-hand to build children with great integrity. If you’re looking for more than a sport, more than an activity, more than a club for your child to participate in, you’ve come to the right place. U.S. Kuo Shu Academy in Marriottsville and Owings Mills offers a free semi-private class so you can experience what it first-hand. Call today to claim yours!